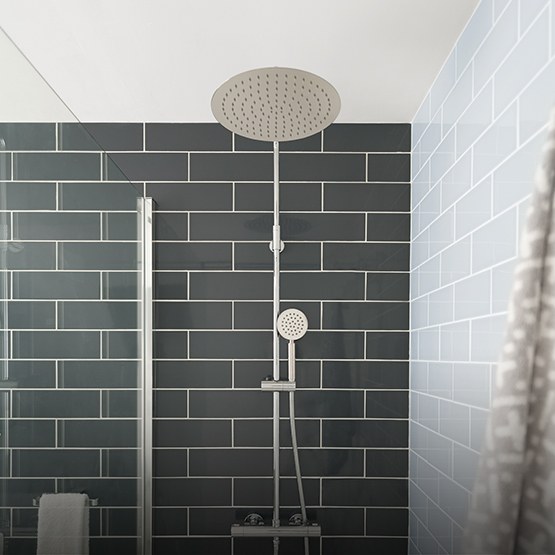 VADO are excited to announce the launch of the new Horizon shower range. Available as a rigid riser kit or slide rail kit, Horizon’s open halo form delivers an attractive, cross-spray water pattern that not only looks beautiful but saves water too. Boasting a design-led, halo shaped head and handset, the shower head boasts a unique seven holed nozzle arrangement to deliver a flawless, symmetrical flow of water whilst the shower handset’s nine holed nozzle arrangement generates an enhanced, spa-like spray effect which is silky soft on skin. Featuring a fixed head and a single function handset, the rigid riser kit includes a square exposed thermostatic shower valve with an integrated diverter and rigid riser, offering an all-encompassing showering solution. With a top rail bracket for simple depth adjustment, easy-fit brackets and offset connectors to aid installation, the Horizon rigid riser is truly the fitter’s friend. Offering enhanced flexibility, the Horizon slide rail kit includes a single function handset and slide rail kit with a height adjustable handset holder to provide simple and stylish showering experience. 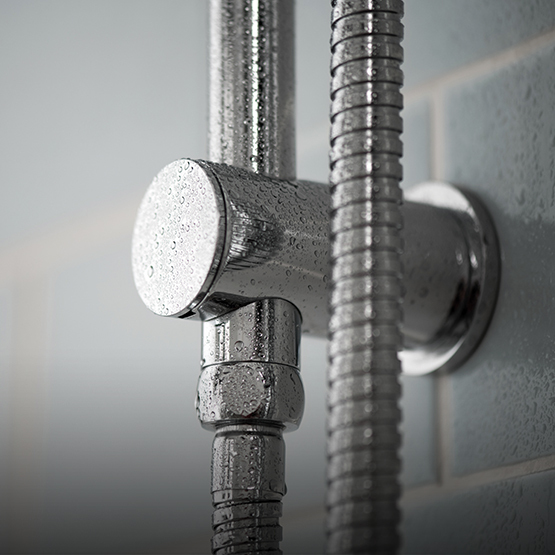 Boasting integrated flow regulators within both outlets to reduce water usage and new Eco Spray technology, the Horizon shower can save up to 16.7% water at 3.0 bar water pressure. Excelling in both form and function, Horizon’s exceptional 12-year guarantee ensures an invigorating and enriched showering experience for years to come.